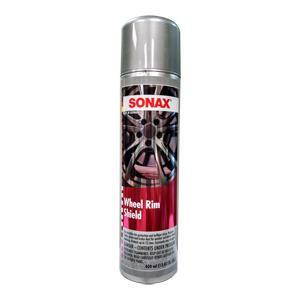 Highly effective SONAX Wheel Rim Shield with self cleaning properties due to the dirt repellent finish on the treated surfaces. Reliably protects all aluminium, steel, chromed and polished wheel rims against brake dust and other stubborn dirt contamination. Provides protection for up to six weeks. Makes subsequent wheel rim cleaning much easier.